The WCAG CR Evaluator tool is available now, please add implementations there, this page is now only useful as an archive. Knowbilty wants to make their knowability.org WCAG 2.1 compliant. Glenda spoke to Sharron, Eric Eggert & Robert Jolly. So, assuming their redesign stays on schedule and they don't hit any major glitches with WCAG 2.1 compliance...knowbility.org will be a WCAG 2.1 A/AA implementation example! Nomensa.com (excluding /blog). After an intial assessment there are three fairly easy issues to fix which should be done soon. The blog will be updated to meet WCAG 2.1, but it's on a different system and may not be done in time. Possible consider a previous year's OpenAIR winner, like this Austin German Shepherd Dog Rescue site. Currently living at http://gqh.edg.mybluehost.me/sitemap (and it is likely moving to a real URL soon). I assume we will need volunteers to make changes to get this site fully WCAG 2.1 compliant. I was just thinking small sites. www.Google.com search field. Visible label is the button "Google Search" and ACCNAME is aria-label="Search"
NOTE: The placeholder does disappear on focus so this placeholder label is not always visible but essentially this search control does pass this SC. Accessible starts with Visible. The accessible name begins with the visible label. https://en.wikipedia.org/wiki/Main_Page => Logo top left has text "Wikipedia The Free Encyclopedia" but name "Visit the main page". https://en.wikipedia.org/wiki/Main_Page => bottom right logo/text "a wikimedia project", with name "Wikimedia foundation"
bol.com price slider (video of interacton on iPhone) The bol.com shopping site (7 March 2018) has a price filter implemented as slider with lower and upper price bracket boundary thumbs. The video shows an interaction where a drag gesture changes the position of the lower slider thumb, and the filter results are updated accordingly. Immediately after, it shows that the setting can be made by single point activation gestures, tapping the field for the lower price boundary, then typing '0' via the on-screen keyboard, and finally "fertig" (done). This will update the slider and accordingly, the filter results. Guardian.co.uk start page (video of trackpad interaction on MacBook pro). The Guardian homepage (8. February 2018) has a slider element with videos which can be moved with a two-finger swipe gesture on the trackpad (MacBook pro OS X 10.11.6) (one-finger swipe on iPhone with iOS 11 ) There is no alternative to move the slider content so this would fail SC 2.5.1 Pointer Gestures. Drag-and-Drop example (video of interaction on iPhone). The Drag-and-drop example by Marco Jacob (recorded 8. February 2018) shows how file icons are dragged to a waste basket to delete the files. There is no single tap alternative for deletion, so this would fail SC 2.5.1 Pointer Gestures. North2.net Drag-and-drop (video of interaction) In the section "About us", the design agency north2.net (9. February 2018) uses drag-and-drop to select members of staff (video shows desktop interaction in Windows / Firefox - the drag-and-drop functionality is not presented on a smartphone). On the desktop, there seems to be no other way to select staff so this would fail SC 2.5.1 Pointer Gestures. Graphical Objects - charts/graphs (in codepen section on this page, select the "change fill" checkbox and watch the color contrast change from inaccessible to accessible! 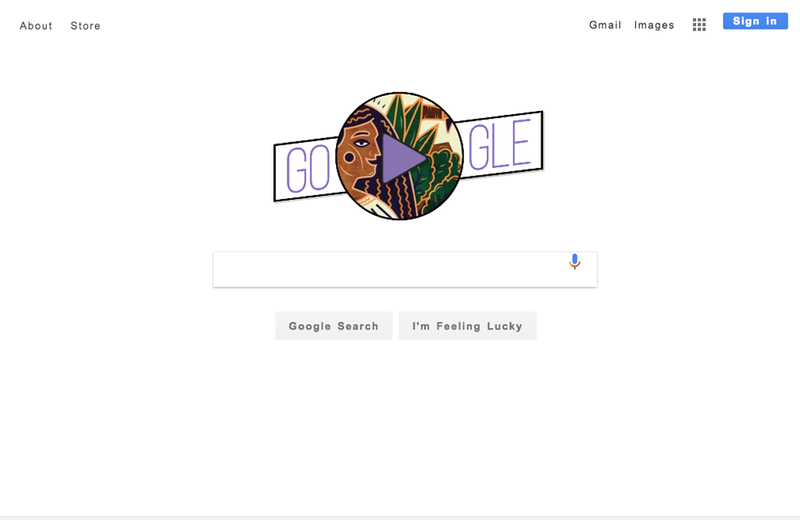 Screenshot: Google without spacing - March 7, 2018. 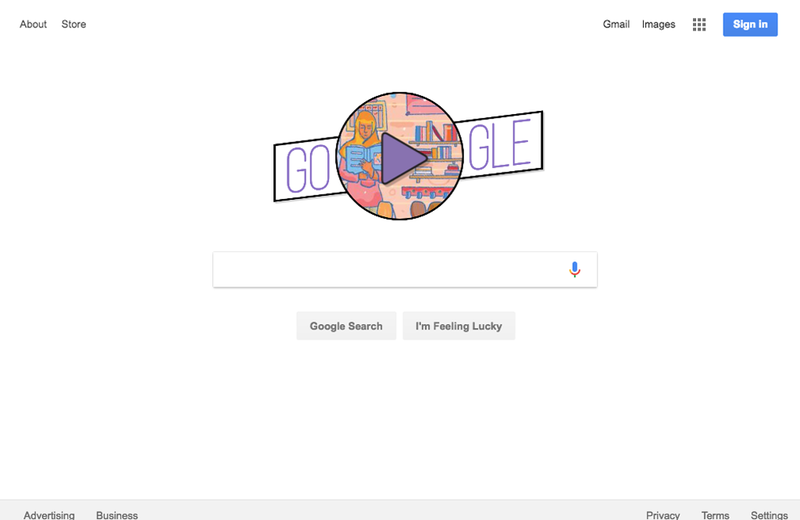 Screenshot: Google with 1.4.12 applied - PASSED, March 7, 2018, LC (Mac OS High Sierra, Google Chrome Version 65). Screenshot: Adobe Mega Menu - March 7, 2018. Screenshot: Adobe Mega Menu with 1.4.12 applied - PASSED, March 7, 2018, LC (Mac OS High Sierra, Google Chrome Version 65). Screenshot: Wikipedia Main Page - March 7, 2018. Screenshot: Wikipedia Main Page with 1.4.12 applied - PASSED, March 7, 2018, LC (Mac OS High Sierra, Google Chrome Version 65). Layout may change, but all controls are available in both portrait and landscape modes. Shopping Bag status message is a number beside the shopping bag. JAWS announces the number of items as it changes. Search input on the home page (top right) Type in a keyword and press Enter. Screen reader announces "Searched for [term]. Your search returned x results." Using aria-live regions to announce status messages to screen readers. Using aria-live region roles to announce status messages to screen readers. Mike Gower - Began by testing airlines without logging in. To date, findings are that warnings about timeouts are not surfaced at all on some sites, and on others only when they are essentially just meeting 2.2.1 Timing Adjustable. Because the SC removed the language to warn the user 'at or before' the initiation of a timer, the requirement to warn users does not seem to add any concrete additional requirement beyond 2.2.1, and so may be met by it automatically. search for dates, choose flights, confirm selection/add to cart, proceed to check out, continue as Guest. Look for notification of time limit. Enter passenger information, stop at payment screen. Look for notification of time limit and wait for system to time out. All FAIL Conclusion: May get different results by signing in? Could request others to test with their airline accounts. After selecting event tickets, I was prompted to sign in. A 10-minute countdown timer labelled "min left to purchase" was displayed immediately after signing in. Once the countdown reached zero, it remained on the page for about 30 seconds, then a notice appeared "You have no tickets reserved or your tickets time out." PASS ** I believe ticketrocket.co can be used as a demonstration of passing 2.2.6. Note that it fails to meet 2.2.1 Timing Adjustable, but it may qualify as an Exception involving either Real-time or Essential language. Without logging in, search for events and select one of interest. Set selection screen appears. Choosing seat populates Your Tickets information, along with a Get Tickets button. Initiating Get Tickets button begins "securing your Verified Tickets" process, announced with overlay. If time runs out, dialog appears with title "Sorry...time's up" with message "The time limit gives all fans a fair shot at tickets" and a Try Again Now button. Pressing Try Again Now button returns to a ticket search for same production. So only thing not retained is time-based ticket selection. If Next button is chosen, a Delivery screen appears with a 5 minute timer. Same behaviour and return point as previous step if times out. If Next button is chosen, a dialog to "Login to Continue" appears. Countdown from prior screen is still visible and continues. After logging in, a Payment screen appears with a 7 minute timer to complete. Same behaviour with time out as previous. If payment is submitted but fails, user's information is retained and they are taken to a screen where they are given the option to attempt a purchase of the same seats again (with the proviso that the seats may not be still available). PASS: Ticketmaster appears sufficient to pass 2.2.6. User data that is not time-based is retained. A failed payment transaction provides a fallback attempt to pay for same tickets again (although there is a proviso about the tickets potentially not being available.) Ticketmaster meets 2.2.1 through a real-time/essential exception. The FAFSA application process involves a session timer which is triggered as soon as the Start a New FAFSA button is selected. The user is taken to the login screen. Without entering any data, after 10 minutes, the following appears. "You've left the session idle for 10 minutes. The current time is 08:14:05 AM. The session will expire at 08:19:05 AM. If you want to refresh the session for an additional 15 minutes, click "OK." If not, click "Cancel." PASS:The user is given 5 minutes to respond to this message before the timeout takes place. Responding extends the timer for 15 minutes. Assuming the user encounters this timer consistently, the implementation effectively provides a means of increasing the timeout clock to 10 minutes between warnings after the first warning, and the mechanism appears to work indefinitely. Unable to confirm data retention, since I do not have the credentials to complete a login process. Like all examples found, it fails to notify users at the _start_ of the timing process, which should be a best practice, but is not required by SC language. After user browses a product, Amazon requires user to Add to Cart to proceed to Buying/Checkout processes. Data added to cart selections saved beyond 20 hours. User personal data (address, etc) saved to preferences is retained beyond 20 hours. 'PASS' Amazon is architected so that it does not appear to have any reliance on timeouts less than 20 hours. This may be a good technique to capture; however, it is not a good candidate to use as an implementation test site, since it meets through an 'exception'. http://taotajima.jp/works/waxing-moon/ WARNING! Immediate severe vestibular trigger warning. 1. On the iPhone photography how-to page, it changes if you have the reduced-motion preference set (Safari on OSX/iOS). Video does not play automatically. The changes on mouse-over take place (an image appears), but the background image does not zoom in gradually. 2. On the Apple Environment page the tilting solar panels animation (triggered by scrolling) does not take place with the reduce-motion preference turned on. NB: The green sun is still animated, but that is an in-place animation, not triggered by interaction. Several other animations are also stopped, including the packaging and materials panels. Using the reduced motion preference to prevent animation triggered by scrolling or other interactions. Button to turn off animations triggered by scrolling. http://earth.google.com, input methods can be changed seamlessly. User is able to switch from/to mouse, touch screen and keyboard. Any web based Microsoft Sway presentation: The user has an option to engage an "Accessibility View" of the presentation. This stacks the presentation vertically, allowing the user to view the presentation by scrolling up and down the web page. This page was last modified on 19 March 2018, at 19:33.